Office Hours: Monday–Friday, 8:00 a.m.–3:00 p.m.
Jointly funded by the City, County of San Diego and private donations, the Park Avenue Community Center offers a wide range of services and programs to older adults aged 50 and over. This busy senior center serves over 400–500 seniors Monday–Friday with a wide variety of programs, services, activities, and volunteer opportunities. More than 100 organizations and 200 volunteers enjoy participating in social activities and direct services as well as support services at the center. Other activities are offered in the evening through Community Services, OASIS, and a multitude of community organizations. The Park Avenue Community Center's monthly newsletter called "Whatcha Call It" contains news, activities, resources, and a lotta fun too! Here you will find details information regarding programs and activities offered through the City of Escondido, Park Avenue Café monthly menu, as well as information about Enterprises Corporation, the Senior Service Council Escondido, OASIS, and a handy community phone list. Come to the Park Avenue Community Center for friendship, food, and fun! A drop site for Meals-on-Wheels, Greater San Diego, Inc. for volunteers to pick up hot meals to deliver to homebound frail, elderly seniors. The Nutrition Program is sponsored by the City of Escondido and the County of San Diego Aging and Independence Services. 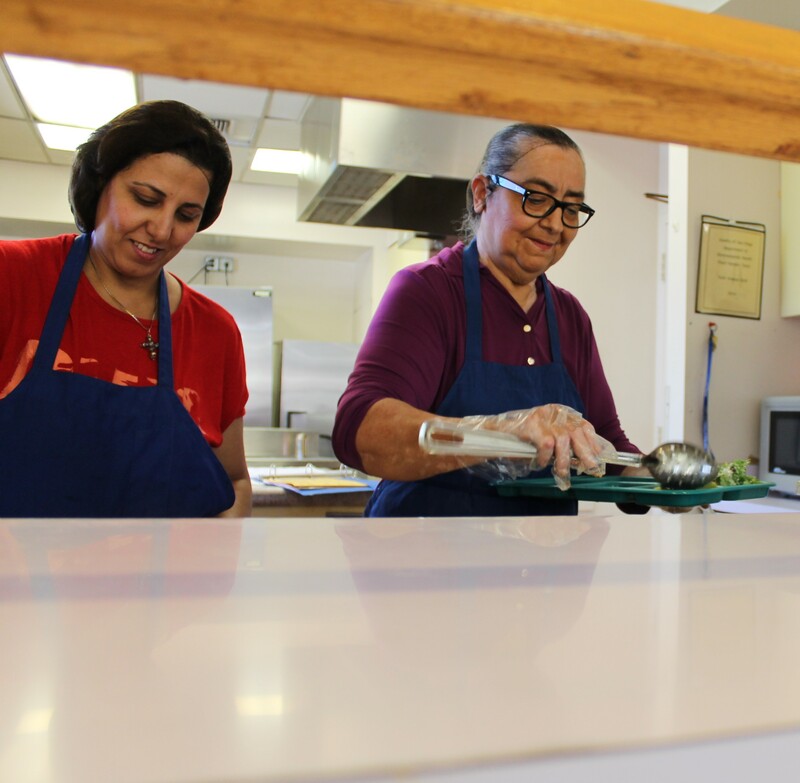 Developed to promote healthy and nutritionally balance lunch for seniors, the nutrition program serves delicious meals Monday through Friday in our beautiful dining room! Lunch is served from 11:30 a.m. to 12:15 p.m. For those ages 60 years and older meals are served for a suggested donation of $3.00; for those 59 and younger the cost for the meal is $5.00. No eligible person age 60+ will be denied a meal because of inability to contribute. Please make reservation at least 24 hours before you plan to join us for lunch, by calling 760-839-4803. Please leave a message letting us know what day or days you would like to dine. The Park Avenue Community Center partners with Redwood Senior Homes and Service for transportation to and from the senior center for our diners. Van service is available for diners 60 years and older who live in the Escondido city limits. Only diners are eligible for the van service. A suggested donation of $1 each is greatly appreciated. To make your reservation please call 760-480-5667. Leave a message with your name, address, and phone number. A Redwood staff member will return your call.